BonkLive is a social networking platform that not only allows you to live stream content and follow others to watch their live stream but also allows you to make money in the process. If you haven’t heard about the BonkLive social networking app before, then today we are here with a review of the application to help you out familiarize the app. 1 What is BonkLive App? 2 How to Earn Money using BonkLive App? 3 How to get started with the BonkLive App? As stated above, BonkLive is a social networking application that is available for both Android and iOS operating systems. The application allows you to live stream content and also to follow others to view their live stream feeds as well. What makes BonkLive different from other live streaming apps is that it also allows you to earn money. 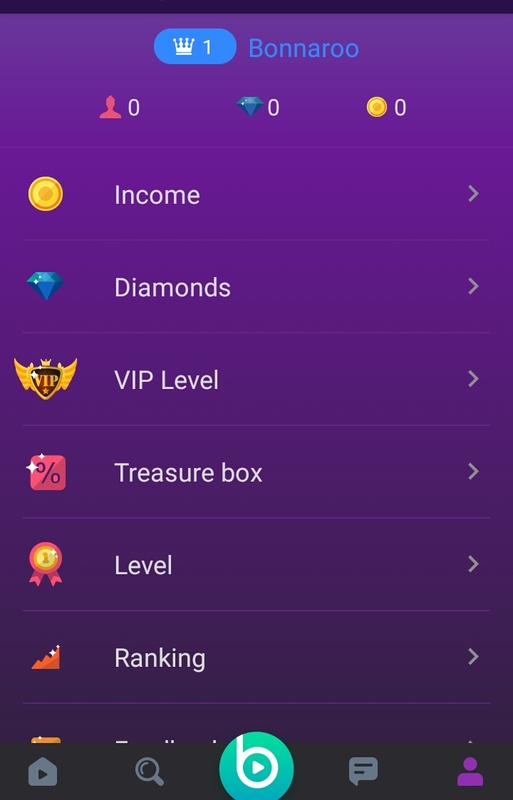 How to Earn Money using BonkLive App? You can earn money by broadcasting advertisements using the application. If you are influencer, then you can advertise logos of different brands on your broadcast screen. If you are a qualified broadcaster, then you can earn more by doing advertisement reads in between your broadcast or also by playing an advertisement in between your broadcast. You can also earn alternatively as a broadcaster if your viewers send you virtual gifts. Virtual gifts can be bought from within the application by viewers to send to broadcasters, and broadcasters can redeem these virtual gifts for real cash. All the money that you earn through either of the above ways can be instantly transferred to your debit card. How to get started with the BonkLive App? First of all, download and install the BonkLive app for Android and iOS from their respective store. Once the installation is complete, find the BonkLive app icon and tap on it once to launch the application. You are now given the option to login to the BonkLive app either using your existing Facebook, Twitter or Google Plus account or register for a BonkLive account using your email address. Once logged in to the app, you are welcomed by a short tutorial about the application. Follow: The Follow tab will show a list of broadcasters you can follow based on your activity. Featured: The Featured tab will show a list of featured broadcasters within BonkLive. New: The New tab will show you will the latest broadcasts in the application. Nearby: The Nearby tab will show you broadcasts based on your current country. 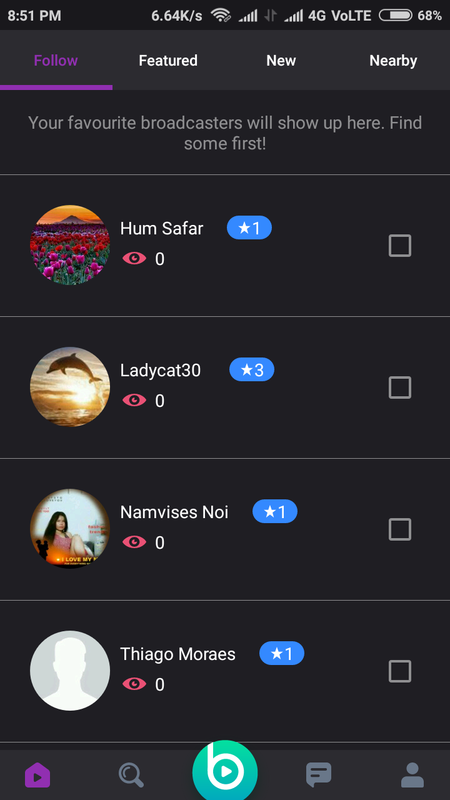 Home: This tab features the above mentioned four tabs wherein you can find random broadcasts based on your interests, location and other featured broadcasts. Search: This tab allows you to search for any specific BonkLive broadcaster to view their broadcast or to follow their profile. Broadcast: The broadcast tab will allow you to publish your live broadcast from within your current device using the device camera. BonkLive Notification: The BonkLive Notification tab allows you to view the latest in-app notifications. Profile: The Profile tab is the last tab that allows you to view your BonkLive profile which features your name, profile photo and details on the number of followers you have and the total income that you have earned. You can also choose to edit your profile to include more information about yourself. Hope you found the BonkLive app review about interesting. 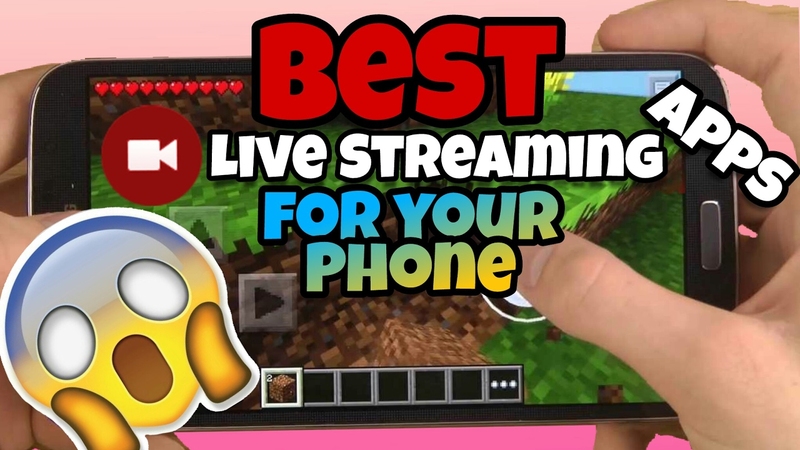 BonkLive is one of the best live streaming apps for Android and iOS that also allows you to earn by using the application actively. If you already a BonkLive user, do leave your experience with the application as comments below and in case you have any doubts with the BonkLive app for iOS and Android, mention them as comments below and we will answer them.